There’s nothing that quite compares to the freedom of being able to go wherever you want, while still being able to make money online. Whether you’re traveling to new countries or just hitting the open road to see where you end up, your life is sure to be fun, exciting and more fulfilling in a way few other people can experience. This kind of lifestyle doesn’t mean a lifestyle free of responsibilities, though. Like any other person, money will still be an issue for the digital nomad. We all have to eat, we all have to sleep under a roof, we all need to make an income. The good news is that it doesn’t need to be this way. There are tons and tons of ways you can earn money without needing to settle in any one place for too long. While your skills and abilities will mainly decide what you’re able to do, that’s not too different than any other job opportunity. The only difference is; our list of jobs is location independent. Here is our list of 20+ strategies to make money online without needing to be stuck in one place. Each of these opportunities will have different skill, time and commitment needs for applicants to fulfill, giving you plenty of options to choose from when finding a virtual place of employment that fits your needs. 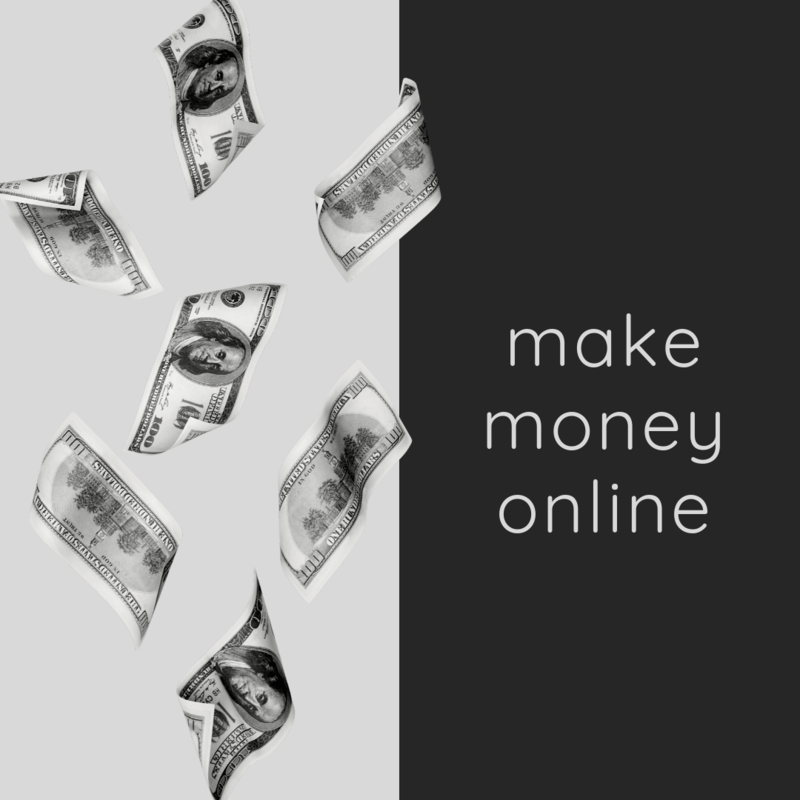 We’ll break down the pros, cons, and considerations you should be aware of each money making method to give you a better idea as to what kind of online work is right for you. Our first group of online money making ideas, you can implement right away, no website or additional equipment is needed, other than a laptop of course. But in a pitch, you could use an internet cafe, so the computer isn't a hard requirement, just a luxury. If you thought secretarial work was only an office job, think again. With the workforce shifting further from the cubicle into the digital space, there are now all kinds of remote jobs available, more than you’d ever expect. One of those virtual assistant jobs is as an executive assistant, even for large companies. As an administrative assistant, you’d be in charge of taking notes, scheduling, organizing, and various other odds and ends your boss needs from you. Most of your core duties will be exactly the same as if you were part of the office, only now you have the freedom to do them over the computer. My favorite task that I get my executive assistant to do is blogger outreach. Finding and sending messages to bloggers that we want to network with. One of the few downsides to being a VA executive assistant is that it likely won’t provide the same amount of freedom to set your own hours as other online work, as you may need to adapt to the same schedule as your boss regardless of your own timezone for better efficiency and communication. Good news, as we said earlier, an executive assistant isn't the only virtual assistant job available. There are tens of thousands of VA jobs online. Go to Upwork and search for any skill you are proficient in. Find a job you like and start building a portfolio of completed assignments. The more jobs you complete with impressive results and reviews, the more you can charge as your online VA career progresses. Here are all their job categories listed in one place, very impressive. I hire virtual assistants all the time from Upwork. The more jobs I can assign to someone else to accomplish, the more time I have to work on other tasks. My general rule of rule, I do all the jobs I enjoy, and hire someone else for all the tasks I'm not good at, or that I don't enjoy. If done right, by building an impressive portfolio of completed jobs with great reviews from your past employers, being a VA can be the perfect side job while you are creating your money making blog. Once you have a money-making blog, utilizing VAs will be a key to growing and managing your business. Taking surveys is an easy way to make a few extra bucks here and there. While it’s probably not a good idea to stake your financial security on a survey website (or even a few), the low amount of effort required and a large number of sites providing surveys to take means it’s usually pretty easy to get some money out of them. Beware of sites that don’t pay in real money though, as ones offering “points” that you can redeem for gift cards or prizes might not be what you are looking for. The only other major downside other than the typically small pay from survey sites is that some can be very particular about the kinds of surveys you can answer. Before you get to the actual survey, sites or the people who run the study will often ask demographic questions intended to disqualify certain people to avoid too heavily skewing the results in favor of a particular gender, ethnicity or other factors. This means you might not be able to find as much work as there seems to be available, as many surveys could disqualify you before you even take them, earning you nothing for your time. Disclaimer: We don't participate in online surveys ourselves. Nothing against this method of making money online, we just like to use our limited time on other tasks. If you use any of the companies listed below, please do your own due diligence in evaluating their offers. If writing is what you’re good at, a content mill can be an excellent way to get your feet wet in the world of freelance writing. While the pay is typically not very good, most giving you a cent or less per word, it’s money all the same and can be an excellent way to make valuable contacts in the writing world through direct order systems many of these websites feature. The biggest downside of any content mill is how your content does virtually nothing to promote yourself. The standard writing assignment taken through one of these sites will stipulate that you do not get credit for your work, meaning you get no exposure from what you do. It’s also dubious if not prohibited to feature the work you do for people through a content mill as part of a portfolio, either because you relinquish the right to do so upon completing the job or for the simple fact it would be hard to prove you actually wrote the work in question. If your writing skills are top notch, the pay can quickly escalate. Check out services like TextBroker and Problogger Job Boards. Ghostwriting is a lucrative but often thankless task wherein skilled writers are hired to do the work of creating a book, script, or other projects for someone with ideas. While circumstances vary from job to job, ghostwriters do not always receive credit for their work, though payment is usually reasonably good compared to other means of online work. One of the easiest ghostwriting jobs is creating blogs and articles for online publications. This overlaps slightly with content mills, as many of the jobs posted there would fit these criteria. For contracted work, though, the best place to look would be specific forums searching for writers. Our top recommended places to find work as a ghostwriter is TextBroker and Problogger Job Boards. Code writing can be a great way to earn some cash if you’re at least a bit tech savvy. Many companies are more than happy to hire a remote freelancer to write the code for their new app or website, making it a job market rife with opportunity. These jobs also pay reasonably well in most cases and can be an excellent opportunity to develop relationships in the tech world and with various startups, building your reputation as a reliable and knowledgeable coder. The downside is that most of these jobs will be somewhat short-lived. While you probably won’t be hurting for work at any point, once a job is done, it’s less likely you’ll be hired on in a more permanent position to do any regular maintenance or fixes for the code you helped write. Do you have any unique skills and want to spread your knowledge? Try teaching/tutoring. Tutoring services are a great way to start, but there are also options for teaching coding, photography, writing, art, music, languages or whatever else you might be good at. Plus, with the internet, you could do classes remotely anywhere around the world using live-streamed sessions. One major pitfall for those who want to teach could possibly be the regulation. While a job here or there is likely not an issue, making a career out of tutoring will potentially require licensing and education you may not have. If you ever want to take your teaching into a more official light, it pays to look into these things early, so you’re not on the receiving end of legal trouble down the line. Also, for ESL teaching jobs, more schools and countries are starting to require more official training and education. Tutoring though will always be stable, money-making income during your digital nomadic adventures. There are a lot of apps nowadays, (just Google it) where you can tutor students, using your iPhone or laptop. The pay is based on your popularity. I had two friends making extra money this way by teaching English to Chinese students. The friend who was on the app for ~1 year, was able to charge $20USD/hr. The other friend, who was newer to the app, was still getting a clientele together and was only able to charge $12USD/hr. But again, this is 100% remote work, you just need a decent internet connection and a professional attitude. Teaching, like any business, if done right, can be super lucrative. There's a teacher in South Korea that makes $4 million a year. Outside of writing, you can also make money by proofreading and editing other people’s work. In many of the same places you’d look for freelance writing jobs, you can likely find people looking to have their work looked over for errors before publication. Easier than writing and very decent pay, it’s an excellent alternative to more labor or resource-intensive online employment. The most significant requirement for proofreading work would obviously be a good grasp on the language you’re editing in. If you make a bunch of glaring mistakes in your proofreading, that might just end your career as an editor right then and there. Basically, there’s no shame in putting it through a grammar checking program; they exist to spot those tiny errors people look over but usually lack the kind of context-sensitive error spotting of a human, which is the entire reason you’re still needed. Wink Wink: One might even consider purchasing a service like Grammarly, and outsourcing themselves out as a proofreader. Brands need a cheap and effective way to manage public relations, so they’ve almost unanimously turned to social media for just that. But how are a bunch of old men in suits going to relate to the youth culture of today? Hire one of those youths to do it. That’s where you come in. Becoming a social media manager for a major brand can mean lucrative pay for little effort from wherever you want. About the only requirements are English fluency and a knowledge of how different social media platforms work. Being up to date on social trends, memes, and other internet things is also a definite plus. Like with any other company position, there’s likely to be some underlying code of conduct you’ll have to follow while posting as a corporation’s social media profile. What this is can vary from job to job, though a good rule of thumb would be not to curse anyone out. It’s also a good idea to be careful with what you’re posting on your own time, as any hiring manager who wants to keep their job will have looked into your personal profiles. Additionally, the highly-coveted nature of this overall low-skill job means it will probably be difficult to find a position like this at any given time, let alone get hired, but there’s always a possibility given the increasing number of platforms and brands that need managing. Again, Upwork is a perfect resource to find a Social Media Manager job. As more and more people go online to work, transcriptionists are more and more needed (for now). The only downside to this online job is that new technologies will make the job obsolete soon. Smartphone apps are getting better and better at transcription, so if you use this method to make money, be aware that it might not always be a viable method in the future. SEO is dead! No its not! Yes, it is! I've personally have argued my support on both sides of this ongoing argument over the years. SEO will never be dead, it just evolves, just like the rest of the online world. Those who adapt quickest, always reap the rewards. As a way to make money, pitching your services as an SEO consultant, and building up a needy clientele, is easily one of the best ways to make money online, even in 2018. Wow, what a job!! The social influencer method of making money online still amazes most of us, except those early adopters that are cashing fat checks. We personally are not social influencers...yet. If you like taking pictures, and have an interesting niche, make sure to incorporate this into your money making method into your arsenal as soon as possible. Many social influencers have multi-platforms, like Instagram, YouTube and a blog but this is not a must requirement. Are you stuck for ideas? What do can I sell on eBay? Reselling old things is one of the best ways to go about this. For example, do you have a ton of old toys sitting around somewhere? Take a look around the internet and see what they’re worth. Not only do you have the chance of hitting the jackpot with an unexpectedly valuable collectible, but it also costs you little more than the price of postage given how long ago you came into its ownership. There’s not much in the way of downsides here, though it pays to be careful in all aspects of selling online. Seller fees are a thing, and though they may add up, it’s unlikely to outweigh the positives of making money like this. More serious would be those who try to scam you or abuse returns, claiming something is wrong with an item in the hopes you’ll let them keep it with the refund to avoid the hassle of a return or lying by claiming the item never arrived when it did. Use things like tracking numbers and excellent photographs of what you’re selling to stay on top of things like this. Scams and scammers are going to happen. Grow a thick skin and move past this. We almost used this excuse ourselves to self-doubt ourselves and not open our wallet shop. Don't make excuses when you encounter problems. Change your mindset, become a problem solver. While a bit more skill will be needed for this compared to other options on this list, starting your own website is a very lucrative way to earn some cash. In combination with ads, sponsored posts, affiliate marketing, and downloadable digital products, you can build yourself a passive money making machine. As your website gets more and more popular, there’s even the possibility a larger company might want to buy it from you. While you’d lose that constant source of passive minor income, you’ll be trading it for a big payout. Click here, and we can teach you, how to start your own blog that makes money right away. Running or selling through an online storefront is a great way to make money online. To date, our most successful online ventures have been our wallet shop and our Etsy storefront. The combination of these two incomes changed our lives for the better and taught us invaluable life lessons that we now use each and every day. An online storefront doesn't have to be your own website, though if you do choose to sell products online, having your own website is an invaluable resource that you own and that you 100% control. Nobody can take it away from you, nobody can raise the 'rent,' nobody can change the rules. If you run a blog, an easy way to earn some cash is through sponsored posts or brand deals. In exchange for promoting a product or, in some cases, just talking about one at all, the maker of that product pays you money. It’s probably one of the simplest jobs on this list, especially if your blog incorporates product reviews. There are a few things you should be aware of with sponsored posts, though, both in how to get offers to make them and when you actually post them. In general, unless you already have a decent following, most major brands (i.e., the people with the most money) won’t be contacting you to promote their products, meaning you should focus on growing your audience as much as possible if you want to take this route. Additionally, it’s a good idea to have some kind of standards when choosing whether or not to accept a brand deal. While you can allow whatever you want, even taking every sponsorship deal you come across, you should be aware of the kind of products you’re claiming to support and the message you send to those you influence. If it’s not something you would actually use or might do harm to the world, think hard about whether you really want to be associated with that kind of product. Finally, there’s also the matter of transparency. While there’s nothing wrong with sponsored posts in and of themselves, it should always be clear that they are sponsored posts from the beginning. This is not only the ethical thing to do to ensure people aren’t misled about your intentions, but it can also be straight up illegal not to divulge any conflicts of interests when promoting products in many places. To keep yourself on the up and up, make sure to be clear when things are sponsored. If you are sincere and transparent, your audience will fully accept the occasional sponsored post. Most blogs' primary method of monetization, including our blog, is affiliate marketing. If your blog provides awesome content and gives value to your audience, affiliate marketing is the best fit to monetize your blog's information. eBooks are great ways to make money. Much like a blog, you provide value and knowledge on a specific subject, get an excellent book cover made and sell your book on Amazon and Apple iBooks. Free eBooks are also excellent internet marketing resources to entice readers to join your website's email list. Similar in nature to an eBook, an online course provides step by step instructions in a more rigid, school like format. Online courses are growing in popularity, and so are the websites that host them, like Udemy and Skillshare. Another easy way to earn money online is through the use of a Google AdSense account. Basically, if you allow Google to display ads beside your content, you get a small amount of money anytime someone views or clicks those ads. You get money for mostly doing nothing besides running your content as usual. The adaptability of AdSense is one major plus, as it can be used to run ads on all sorts of different content from blogs to YouTube videos and beyond. A potential issue for you, though, can come in the form of the minimum payout amount set by Google. This means that, until your account earns US$100 from the various ads displayed on your content, you won’t see a single penny of the money you've earned. While it may not be an issue for those with top-rated channels or blogs, smaller creators can often feel burned by this limitation. Finally, one pitfall that many users of AdSense feel is the loss of revenue through ad blocking programs. We’ve all surely used ad blockers before, but for smaller creators, these can pose a problem regarding the bottom line, as every ad blocked is more money lost. I'm guilty, I use Ad Block. Many sellers on websites like Amazon will offer free samples or money for reviews on their products. Not even positive reviews necessarily, as the attention from having reviews is what they’re most concerned with. While this is an excellent way to make money without much effort, it can be somewhat dubious in terms of ethics. Though plenty simply want the reviews good or bad, others do expect positive reviews in exchange for money, so ask yourself whether you’re willing to do this or not. Not only that, if the website you’re giving reviews through ever catches on to the fact you’ve been paid, it could mean the closure of your account, causing even more problems if it’s somewhere you frequently visit. These money making ideas require additional equipment before you can implement them. If you’ve got a decent camera and travel to some scenic locations, being a freelance photographer might just be the career you’ve been looking for. For doing what you’ve already been doing with each trip, you can look forward to hundreds or even thousands of dollars of income for your vacation photos. While everyone might not have an eye for detail or staging required for this, selling photos can be an easy way to earn money. This is the guy to follow on YouTube to learn everything you need, regarding photography and video. One of the best avenues to pursue as a freelance photographer is stock photos. Numerous websites buy and sell the rights to pictures specifically to use as stock photography in ads, art, and more. While the pay might not be as good as a major newspaper, it’s a cheap and easy way to make money with little effort. It’s also a good idea to begin curating an online portfolio of your work. This lets anyone looking to hire a photographer get a good idea of the kind of shots you’re adept at and the kind of editing work you can competently perform, increasing your chance of being hired since clients won’t have to hire you blindly with no indication of your real skills. One trick many digital nomads use to make money or discounted rates or free nights at Airbnbs, is to offer to take better photos of a listing on Airbnb. Many hosts on Airbnb have beautiful properties for rent, but bad pictures. This trick can also be used for restaurants on TripAdvisor. While this position could be for any kind of video production work, vlogging, in particular, is a great way to make the most of what you already have at your disposal. Travel vloggers can quickly and easily accrue hundreds and thousands of followers in a short amount of time, all that’s required is a good video camera, exciting locations, and the bare minimum of charisma. Provided you’ve got all of those on your travels, you’re set. While vlogging itself probably won’t earn you much money, it’s best used in conjunction with other items on this list. AdSense, for example, will allow you to run ads alongside your vlogs on YouTube or a personal website, paying you for each view and page visit. The popularity you gain from vlogging also opens you up to sponsored videos, product reviews, and similar brand deals. Though few drawbacks exist to vlogging, it’s important to remember when and where it’s acceptable to film. Be polite and courteous to the people and places you visit and don’t, for example, make and post a video of someone in a vulnerable state. You should also take precautions to not disrespect the culture of the places you visit, as an easy way to make enemies both on your travels and online is to be a jerk to people. Is Twitch the new television? Twitch is a platform that allows channel owners/creators to 'host' live streaming. Typically the platform is for the viewing of expert video gamers, but increasingly other niches are becoming more and more popular. Example. You are an expert at World of Warcraft. So much so, you decide that there is an audience who would benefit from watching you play daily. A new Twitch channel is born. Why would someone watch someone else play videos games? Times are changing. The League of Legends 2017 World Championships were watching LIVE by 60+ million viewers. Starting a Twitch channel most likely won't generate much money in the first year. But depending on your audience's engagement and your ability to entertain them, this can become quite a lucrative way to make money online. Crowdfunding is usually for things like games, TV, or products you want to get off the ground, but there’s plenty of ways to make that model work for you as an individual. The first choice of anyone looking to crowdfund themselves rather than a specific product or venture would be Patreon. It’s a website that lets users pledge money to a particular creator to support the work they do. “Work” is the key word here, as it’s unlikely anyone will support you if there’s not something you’re doing that they can enjoy. It’s also helpful to offer perks to the people who pledge, back, or donate to you, as it encourages new people to do so to get those benefits and keeps those who already support you happy. Art is a common choice for many who choose this way of making money, but many other skills could also be monetized. It all depends on what you can do and what people are willing to back. The biggest thing to look out for when it comes to crowdfunding is not fulfilling your perks or other obligations. While it might be tempting to take the money and run, the internet doesn’t forget. It’s doubtful you could make that work more than once and even if you could, why would you want to steal from other people who graciously wish to give you money on a regular schedule? Just stay on top of your commitments and update your backers if there are any delays and you should be golden. Below are the rest of the online money making ideas that popped into my head. If you happen to have a car (or can rent or borrow one), a simple way to earn some extra cash is by signing up as a driver on a ride sharing app. Ferrying people from one place to another in your spare time is a quick way to make money no matter where you’re at since everyone needs a ride from time to time. Caution is needed here more than virtually anywhere else on this list. Most ride-sharing apps operate with lax vetting procedures for either drivers or passengers, meaning that even though you might get accepted into the program fairly quickly, there’s little in the way of ensuring your own safety if a dangerous passenger gets in your car one night. While most of the people you’ll drive for will undoubtedly be normal or somewhat obnoxious at worst, all it takes is one problem. Carefully consider your options before diving headfirst into this money-making plan. Entering a contest is easy though not at all reliable way to earn money, prizes, or whatever might be offered to contestants. While it’s a plain bad idea to try and rely on contest wins as your sole source of income, entering contests here and there with few if any requirements can be an excellent way to hedge your bets. Read the fine print on any contest rules and regulations page before entering. This is a no-brainer, but if you did actually end up winning your prize, it would be really disappointing to watch it be yanked away because of some minor oversight on your part that disqualifies you after the fact. If you happen to have a house or apartment for security, why not make some money off it while you’re out traveling? Renting out your space to people through websites or apps is an incredibly simple process that you can do from anywhere in the world and an easy way to make some extra money. Apparent precautions are in order, though. For one, make sure you’re not breaking any laws or lease agreements before you do this, as it’s an excellent way to lose your property and end up on the street when you come back home. Additionally, try to avoid leaving anything too valuable in the house while you’re away, as the temptation for theft is quite high when people are left alone in your home for long stretches of time and likely to never see you again. No matter your experience, education, skill set, or location, there’s work out there for everyone. There’s no need to put off your dreams of international travel and to live on the road just for the sake of holding down a traditional job. While not everyone can make it work, if you can find the right balance of income to expenses through one or more of these 20+ ways to make money online, you’ll have the freedom to do virtually whatever you want in life even without a permanent place of residence.